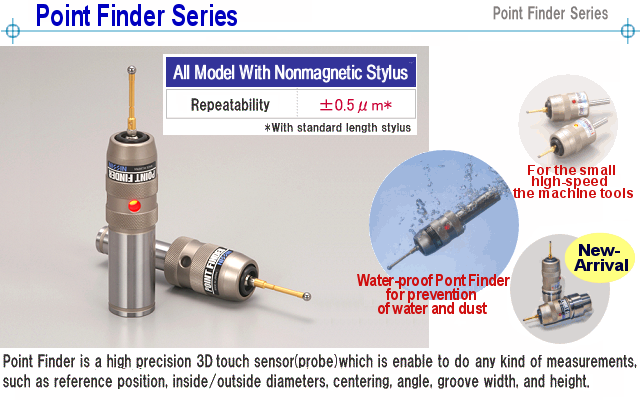 ・High precision 3D touch sensor (probe) 'Point Finder series' is enable to do any kind of measurements such as reference position, inside/outside diameters, centering, angle, groove width, and height. 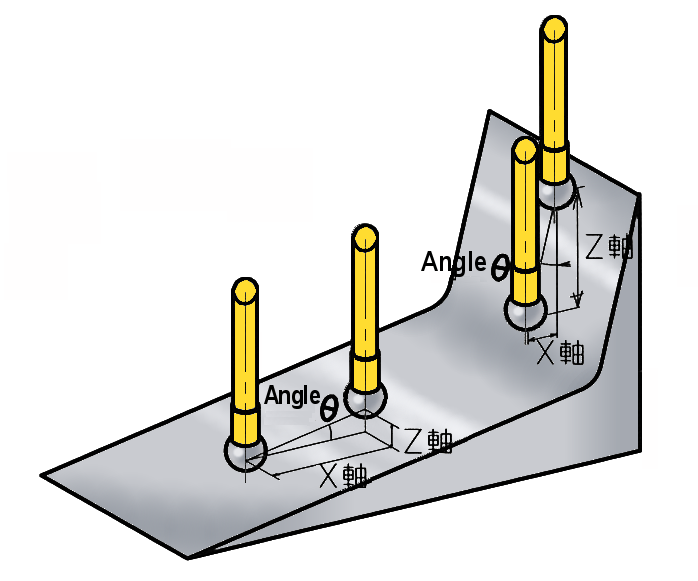 ・Safety design enables the stylus swing toward X, Y and Z-axes directions and prevents the Point Finder itself from breakage. 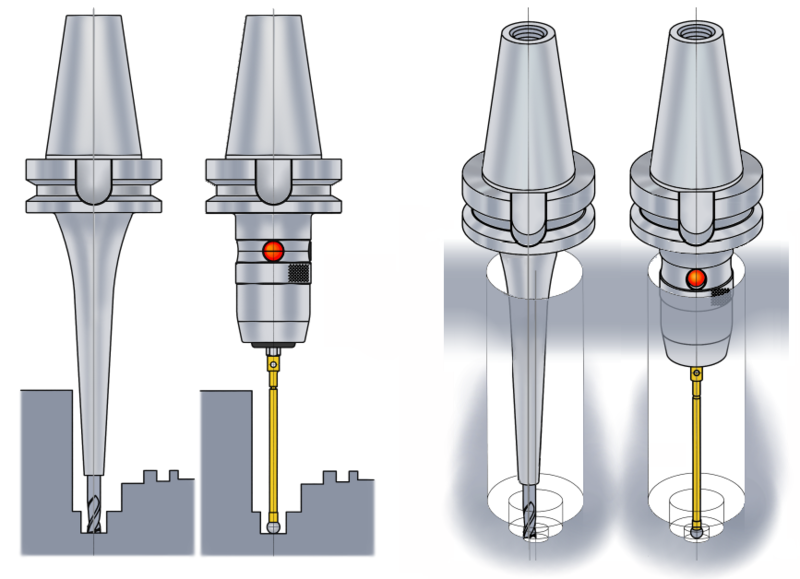 ・Four LEDs light up when the stylus touches to a workpiece. ・As for PTC (Point finder with a buzzer), three LEDs light up and the buzzer let you know when the stylus touches to a workpiece. 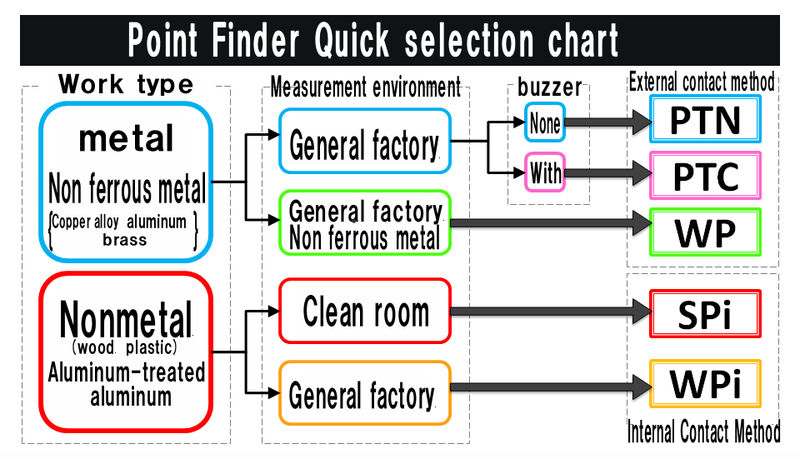 ・With nonmagnetic stylus, magnetic force doesn't affect to the measuring. ・Waterproof IP 67 (IEC standard) will not enter water even if it is immersed in 1 m of deep for 30 minutes. when it returns to the original position. 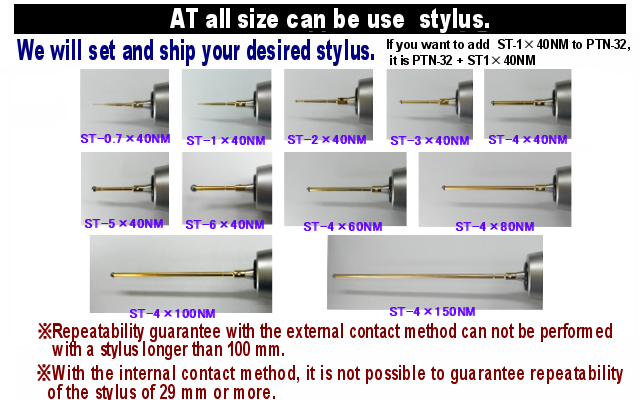 When using the external contact method with a stylus of 100 mm or more attached, guarantee of repeatability can not be done. *2：You can change the size of stylus instead of the standard one. *3：When using the internal contact method with a stylus of 30 mm or more attached, repeatability can not be guaranteed. 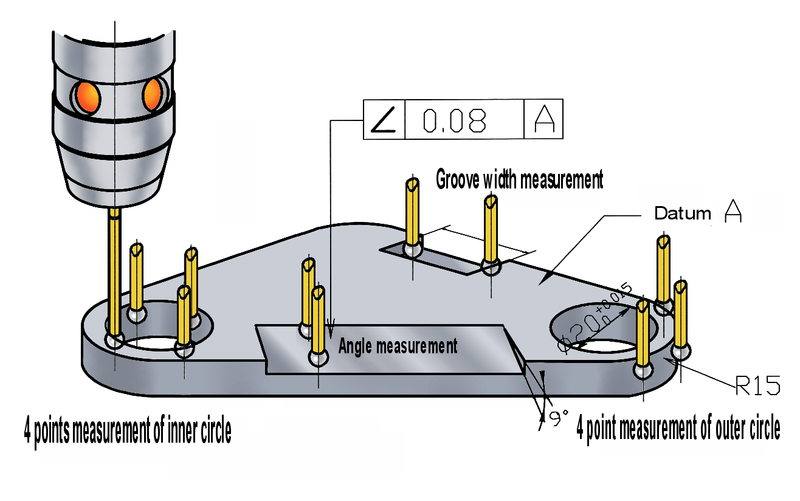 Point Finder makes it possible to do any kind of measurements such as reference position, inside/outside diameters, centering, angle, groove width, and height. Those measurements are very important before metal working. 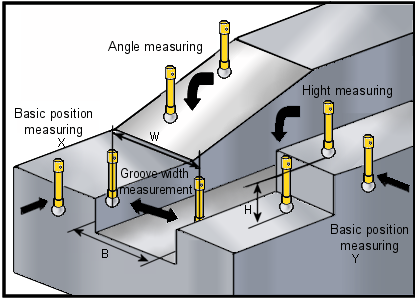 With a point finder, it is easy to measure the angle of narrow workpieces, which angle gauges can't measure, on the machine tools. Please calculate it with a calculator or use a smartphone calculation application. Copyright © 2007-2009　Nissin Sangyo Co., Ltd.　All rights reserved.